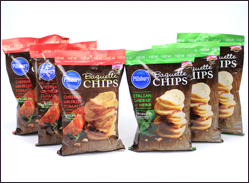 If that’s not enough to get your mouth watering, then check out these delicious chips for yourself. To download a printable coupon for $0.75 off one package, visit http://bit.ly/PBCcoupon today! Disclosure: The product, and information have been provided by General Mills through MyBlogSpark.